The Dell'Ugo pastas are a complete meal but I am going to use it to accompany some chicken with cherry tomatoes and green vegetables. On Tuesday I am planning to take the children to RHS Harlow Carr in Harrogate. As it is Yorkshire Day they have got lots of Famous Five events throughout the day. I am planning to pack a picnic, take a blanket and relax in the beautiful settings. To make dinner easier I am going to cook Charlie Bighams Fish Pie! On Wednesday I am going to start prepping for holiday so another easy meal thanks to Charlie Bigham. I will be serving the lasagne up with some garlic bread and salad. I am planning to roast a chicken with the view of having enough left over to take with us on Friday! On Friday we are going camping! We are staying near Bridlington so for our first night we will probably go and get some fish and chips! From then on it will be camp food! Next week I am going to share a post with all of my camp food ideas. I am nervous but excited about our new adventure! Do you go camping? What are your favourite camp meals? 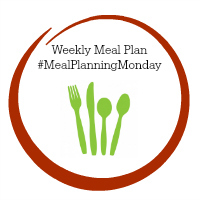 If you write a meal planning post feel free to join the mealplanningmonday blog hop! 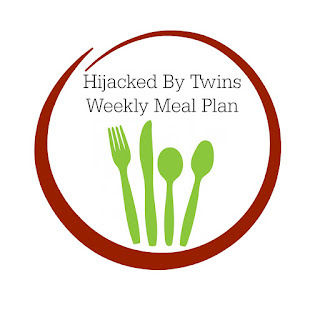 Thank you very much for sharing weekly meal plan and I hope that following your plan, we will be able to maintain our calories at best level.